A special thank you to our Sponsors ~ Nutritional Seeds, Eat for Health, Lyric Harmony, Cultivate Wellness, Quantum Wellness Consulting. Beth: Spoke about some of the ways that the Sonoma County Herb Guild works with their growers and buyers and how it was initially started. She was a founding member and on their board for a while. SCHG was originally started by a grant and a wish to train growers how to best grow the herbs that the Herbalists want. Leslie Gardener was a main person energetic force in growing the SCHG. It is open at Laguna Farms in Sebastopol on Tuesdays to drop off herbs and pick up orders. You can call in orders.. it was best to order ahead in bulk, like a pound of ____, so that growers knew what to grow. Peg Schaffer was instrumental in the growth as well. There were separate meetings for growers/apprentices. You had to be a member to sell Herbs but not to buy them. All herbs are brought in fresh. It is a non profit model. SCHG holds Organic Cert and helped other farms with their status or organic growing. 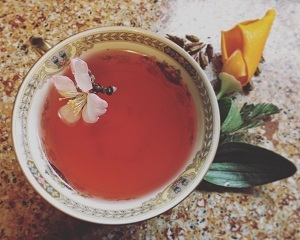 Suggestion put out to put a TAB on our MCHG website to help put together the herbalists requests/needs with local farmers in the area. 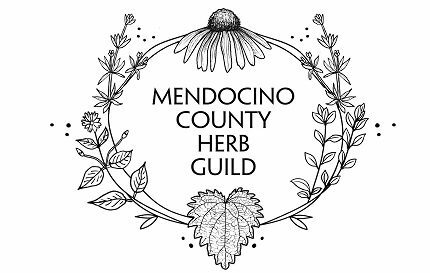 Suggestion: put out a list of the ingredients needed monthly for the Mendo Vitality Tonic on our website. We need a Social Media person. .. someone willing and able to post daily to FB, Instragram etc. -AnaHope spoke about a workshop she went to called California Ecosystem Restoration Council held by a man named John Lui. They are setting up eco-restoration camps over the world. April 26-28 they are setting up in Paradise California. Contact: campfirerestorationproject.org or rebuildingparadise.com if you want to join. -Alex spoke about the difficulty many local Native Americans have in their replanting/restoration efforts. Jughandle Nursery is growing trees and bushes for Native Americans to plant/restore native areas. -April 13 at the Hopland Tribe Rancheria 9:30- 1 pm. There is an event honoring National Crime Survivors Week. AnaHope volunteered to set up a table and offer a class on herbs to help w stress and trauma. -Claudia spoke about the change in liability issues at the Grange. -Claudia in producing the Womens Emposerment Summit the same weekend as the Calendula Festival. More details to emerge as she has them. -May 19 is the Grateful Gleaners Day. There will be a plant sale at Carol Cox’s home in Willits. Plant sale– initial seedings are getting started. Next Inland MCHG meeting: April 23: 5:30- 7 pm at Cultivate Wellness Studio at the Grange.